I am the daughter of a Baptist pastor. Most of my childhood was spent as a PK or living in seminary village. I believe the power of prayer for a pastor and his family is unspeakable. For the month of August we are going to pray for our pastors and church staff. Our pastors NEED our prayers! I truly believe there is no greater gift we can give them than our prayers. The awesome thing about prayer is that it leads to love and unity. When we spend 31 days praying for someone, we love them more. I have seen that time and time again in my own life and in various relationships. 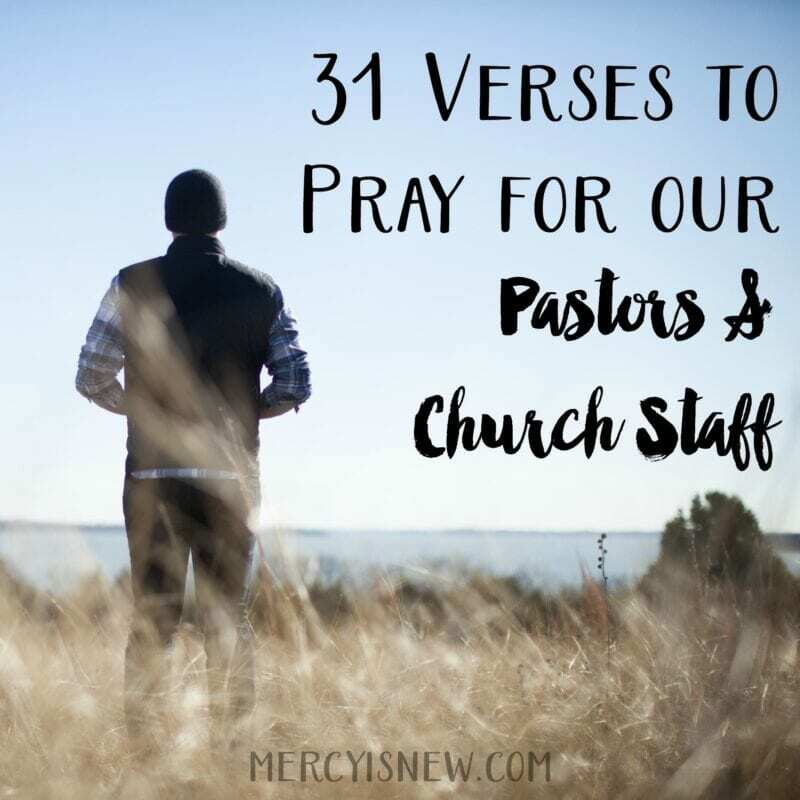 If you take issue with something happening in your church, I challenge you to spend the next 31 days in PRAYER, specifically for your pastor, your worship leaders, your youth ministers…and see what God does! I guarantee you that your heart will be changed, to say the least. Find all the other month’s of Scriptures to pray here! 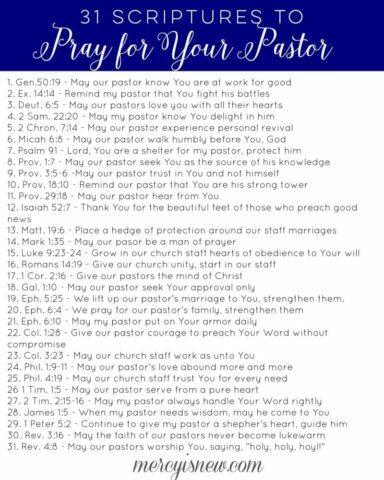 Several of you have asked for these verses withOUT a month at the top so that you can pray for your pastor, especially during Pastor Appreciation Month! Here ya go! 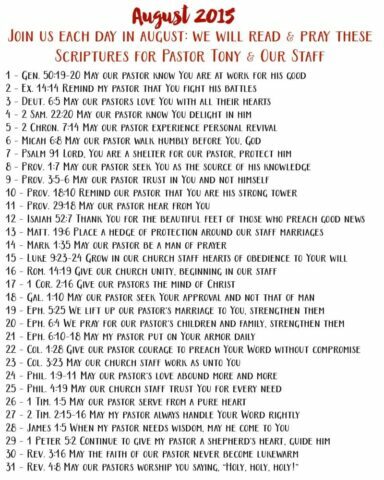 I made a special sheet just for our own church so we can pray together for Pastor Tony and our staff! 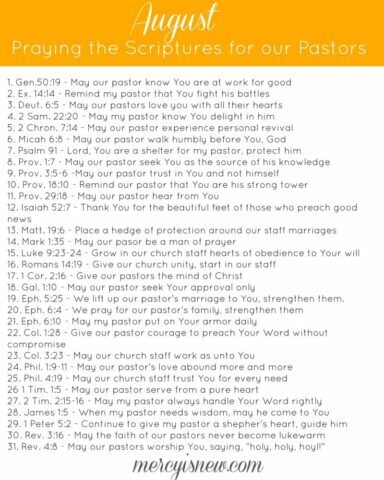 If you would like to print this off and join me in praying beginning August 1st I think it would be so awesome to pray these verses collectively for our staff! We will also have sheets printed to pass out to you on Sunday!